Manslaughter is often accidental, but the authorities always feel that they must find “someone responsible” or the “authorities” are perceived as not doing their job. Let’s face it, “Accidents Happen.” While it is tragic if a squabble, a fight, or a unintentional accident claims the life of another person, people are killed every day in all manner of unfortunate situations. Decent, law-abiding citizens are not perfect, and are sometimes involved in tragedies that sometimes result in the death of another person. Manslaughter charges often follow domestic violence situations, a fight following a traffic accident, a fight in a bar where intoxication plays a part, or some sort of long-festering dispute that escalates to violence and someone is unintentionally killed. If you find yourself in such a horrible situation it is imperative to contact a skilled criminal defense attorney as soon as possible in order to help you protect all of your legal rights and options that may be available to you. Your legal defense counselor is sworn to keep his client’s secrets which allows for total and frank communication of the facts so as to mount a successful defense against the state’s charges. It is utterly imperative that you or your loved one seek legal counsel as soon as possible. In fact, it is best to get counsel in the first hours of arrest and incarceration. The accused or arrested person will be subject to interrogation and it is vital that anyone arrested for a serious charge of manslaughter has immediate, experienced and skilled legal counsel. When you or your loved one is accused or arrested and request legal representation all interrogation and questioning must immediately cease. The accused cannot be interrogated after the accused has legal counsel. Remember, conversations with anyone other than “Your Lawyer” are not confidential and are subject to law enforcement eavesdropping – i.e. they will record you! 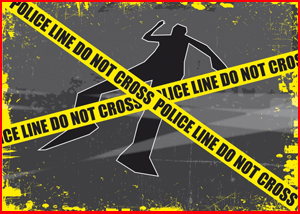 California law defines manslaughter as the killing of a person without premeditated thought. If it is suspected that “premeditated thought” was involved, or as the law says: “malice aforethought,” manslaughter is not usually the charge as “murder” would be the more appropriate charge. Finally, California law will distinguish manslaughter charges as: voluntary manslaughter or involuntary manslaughter. If you are charged with manslaughter you could be facing incarceration in county jail or state prison. Moreover, there is usually a high bail amount, the potential for huge fines and the likely possibility of significant probation time following incarceration. If that isn’t enough, your resulting criminal record will likely affect your current employment and would make opportunities for future employment pretty bleak.